It’s amazing what one Twitter conversation can do. This is the third installment (see here for: #1 & #2)of The Learning Cycle inspired by (1) “The Road to Glory” documentary on Sky Atlantic HD that followed Performance Director of Team Sky Pro and Team GB Cycling as he lead the cyclists to the incredible success of this Summer in the Tour de France and London 2012 Olympics and (2) The conversation between @HuntingEnglish and @Macn_1 that followed the programme. After we’d discussed Brailsford’s philosophy of ‘Aggregation of Marginal Gains’ (see #1 in this series for that! ), we started discussing more generally the way in which the peloton works in cycling races. It’s worth noting that pace-makers in athletics and most recently, in the midst of significant controversy, in the triathlon in London 2012, such an approach has been adopted to increase the chance of victory. The details of the roles in the peloton are new to me and @HuntingEnglish shared a far better understanding and knowledge of exactly how it works. Moreover, he came up with some brilliant ideas about how the model could be used to ensure quality collaborative learning opportunities, which he has already written about here. For me, the peloton model of cooperation sparked up an old favourite of mine…the difference between cooperation and collaboration. When learners are asked to work ‘together’ what do we expect from them? How can we ensure that there is genuine collaboration in a group, rather than simply cooperation? And does it really matter? A few years ago, I was shown a film clip that has since done the rounds at leadership conferences and network meetings. The film follows a flock of geese who work together to travel vast distances as part of their seasonal migrational behaviour. I particularly like the ‘honk’ school of encouragement but I particularly dislike the irritating music, but you can’t have everything. With cooperation, we may see group members consigning themselves to the path of least resistance. We may also observe some individuals remaining as individuals within the context of the group, and doing what needs to be done to get by. For our most able learners, this may be to adopt the time-honoured role of scribe. They do all the writing needed and, in doing so, move the ‘group’ through the task in the way that they decide is best and most effective. The remainder of the group co-operate with the scribe to enable this to happen. If, on the other hand, we observe genuine collaboration, we will hear and see energetic discussion, an excited exchange of ideas and, hopefully, an equal distribution of workload throughout the task. The peloton and the geese demonstrate how this authentic collaboration can work to achieve safety, efficient energy output and attainment of a shared and mutually beneficial goal. This video from The Business of Learning Conference (a truly collaborative project I worked on with Jim ‘The Lazy Teacher’ Smith (@thelazyteacher) and a team of amazing ASTs a few years ago shows exactly what it means to collaborate. Please take a look. It’s under 2 minutes long of pure genius and emotion about what learning is all about, from the learners’ point of view. Best of all it was created by a group of 10 learners from 10 different schools who didn’t even know each other less than 24hrs before. The post explains what the conference was all about. So when it comes to assessing the quality of group work, we can, I think, learn a lot from the peloton model. Perhaps it will work well to share it with learners as a way to communicate our expectations of what ‘quality collaboration’ looks, sounds and feels like. In this way, they can check out for themselves whether they are truly collaborating or merely co-operating at any point during the learning process. The characteristics of authentic collaboration could also be used to inform our overall programme of aggregation of marginal gains and explicitly shared with learners as they design their own to individual learning plans to which they agree to comply. Reflecting on the second episode of “The Road to Glory”, and inspired by a fantastic Twitter conversation with @HuntingEnglish and @macn_1, this is the second of my Learning Cycle posts. See here for #1 and #3. My PLN buddies and I had all watched the first two episodes of “The Road to Glory”, a Sky documentary about the quest of the Sky Pro Cycling Team to be the first British cycling team to win the Tour de France. Led by Team GB Cycling Performance Director, Dave Brailsford, the documentary is providing a fascinating insight into the meticulous approach that is needed to be successful at the highest level. In the second episode, we heard how Bradley Wiggins, the team leader and ‘arrow-head’ of the Sky Pro Cycling Team, had been on a personal journey to get to the point where he was ready to be the team leader and achieve the successes that were to come his way this summer. Interviews with the team psychologist, throughout the documentary, made it clear that the role of Dr Steve Peters was integral to all the riders, but in particular, with Bradley Wiggins. Whilst Bradley’s talent is unquestionable in terms of cycling ability, he has worked with Bradley on his levels of self-belief and, as Peters refers to them, his ‘inner chimp’ to really exploit the potential of his talent. There’s a useful explanation of Peters role and his view of the ‘inner chimp’ on the Sky Pro Cycling website and he’s written about it in his book, “The Chimp Paradox”, which is now on my reading list…! Anyway, the term ‘inner chimp’ is used to describe the emotional part of the brain. I’ve always thought of it as the reptilian part, the amygdala, but I prefer the chimp analogy as it captures just how troublesome it can be when we are ruled by our un-thinking, reactionary emotions when faced with unfamiliar or challenging situations. Consider your first day of school (as a pupil or an NQT) and you’ll soon start remembering not what happened, but how it felt. That’s the chimp for you. it has no language, no ability to rationalise, it is our inner-most hub of feelings and reactions to the world around us. It is this that is often the determining factor in how well, and, at times, if, we learn. As the trainers talked about Bradley’s approach to becoming integrated into his new team and responding to his training plan, they used the word, “compliance”. They said that once all riders, including Bradley, had ‘complied’ to their individual training programmes, then success would inevitably follow. In the sequence that followed, this is exactly what started to happen. Even to the point of Bradley surprising everyone when he won his first ‘bunch’ sprint finish on one of the stages on the Tour of Romandie prior to the Tour de France. How manageable would it be to ask every learner to design their own personal learning plan informed by specific, individual goals that incorporate even the tiniest marginal gains? What would this look like? To be an effective learner in (x) subject would obviously have to include knowing the technical nuances of the subject, the skills related directly to this subject and being able to apply these in a variety of different topic areas. In addition, at a micro-level, it would also be explicit about the need to arrive to the lesson on time, with an open-mind and readiness to learn, demonstrated by bringing the correct equipment, knowing what was expected and listening to others’ ideas, contributing to class discussions. Do learners ‘own their ambition’? Where is this already happening, and if so, how effective is it? Do we ask the learners how effective their learning regime is? What ‘gains’ do their existing plans already include and how could we include some micro-gains? If they are not complying with their learning plan, what can we do to help them engage with it? Who designed the plan and who takes responsibility for monitoring it? Affiliation – a sense of belonging and of feeling a part of a group and community, where all views and contributions are welcomed and valued. Autonomy – ability and opportunity to make authentic choices and be self-directed in learning pathways. Agency – self-belief and confidence that tasks can and will be achieved. Learning is both challenging and achievable. 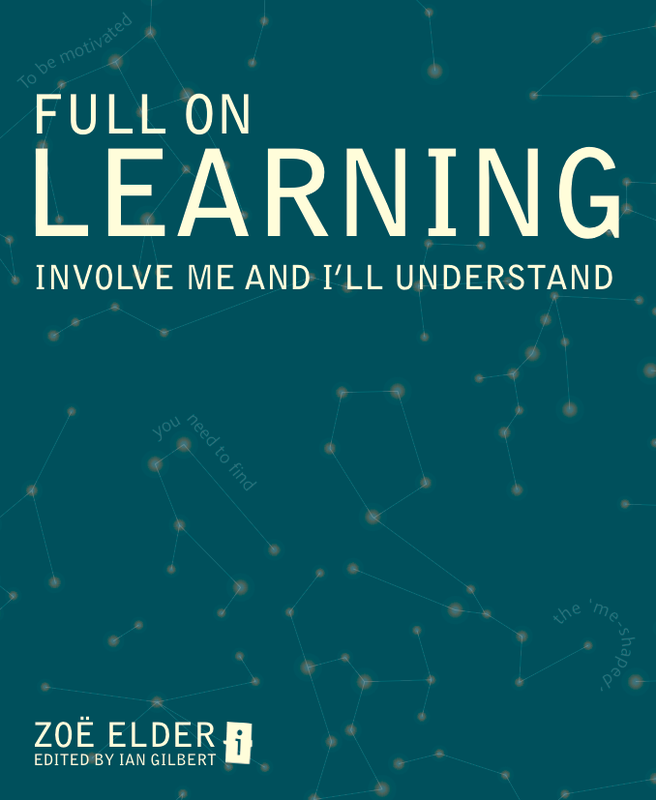 For me, the only kind of learning plan learners can and should be expected to comply to is one that is overtly underpinned by the Three A’s above. Only in that way, can they truly own their ambition. “I also like the simplicity of the ‘triple A’ model for motivation. It gives a clarity to some of my instincts on the matter. I do think the Rosetta stone of learning is motivation – if it can be triggered and sustained then truly anything can happen. Imagine the impact of every learner in a class, year group and school agreeing to ‘comply’ to their very own ‘3 A’s’ learning plan; accountable first and foremost to themselves and their self-selected personal goals. Imagine the quality learning conversations that would happen in the drafting and re-drafting of such plans. Think of the ways in which we could incorporate all of the marginal gains in what we know about learning dispositions, the skills required to be an effective learner as both subject-specific and generic experts and the understanding we have of growth mindsets if we worked alongside each learner to craft such learning plans. I’m not sure yet but this certainly feels that compliance to such a plan would be empowering, energising and motivating. It’ll be interesting to hear what you all think. “Your second post has really got me thinking about how we could apply this in school – I think there is a definite opportunity for some research here – in our school, I can really see your idea of linking marginal gains to learning plans and ‘owning ambition’ working – we already have scheduled review meetings and 20 mins of vertical tutoring time every day, so there is lots of potential for conversations to take place, frequently, … lots to think about! It’s early enough in the year to get a project going! The new site launched earlier this month by TED-ED has a call-out for videos to inspire learning and learners in the true spirit of www.TED.com. 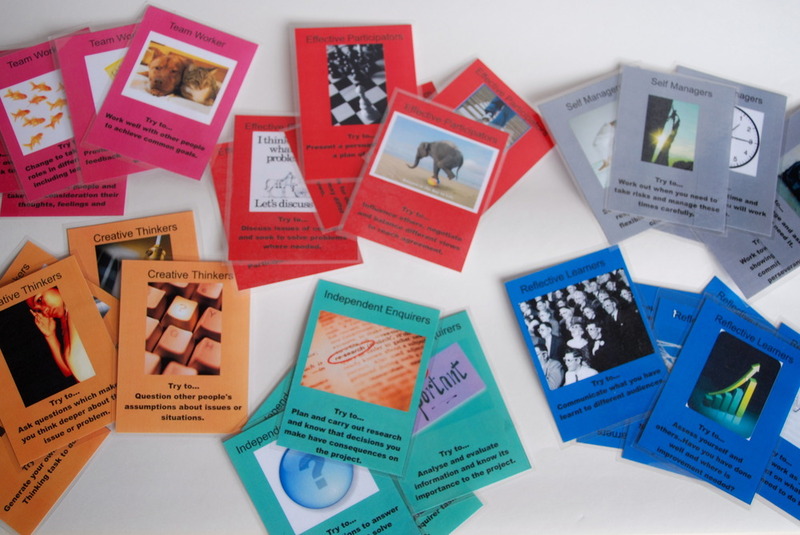 As you know, I’ve put together TEDucation which attempts to use the wealth of ideas from all the TED talks to reflect on and adapt to learning contexts. 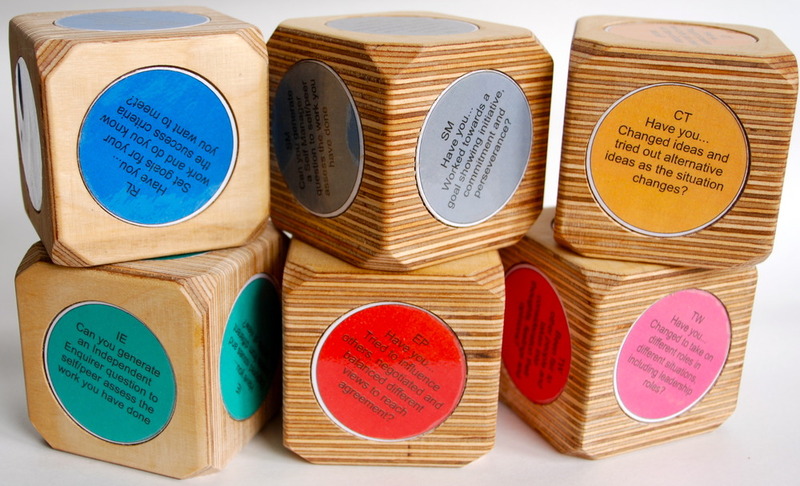 This project is a natural next step for TEDsters across the globe. There’s a place to engage through the TED-ED forum and a growing number of questions to respond to. So, if nothing else, the TED-ED video opportunity could be a fabulous student project, and it could be very naturally linked to the amazing work of the #purposed team (@purposeducation). “Make your own short film about what YOU think is the purpose of education.” and upload it to a global audience. Now THERE’S an opportunity for some awesome learning. Jane McGonigal presents a great argument here that attempts to demonstrate the potential force for good that could exist within games-playing. Games like World of Warcraft require a commitment on the part of the participants to collaborate with their fellow players in order to achieve their goals. And what if we created a game-scenario that was intended to solve some of the world’s greatest problems and handed this over to our students? How might this encourage learners to engage with the wider world and begin a process of problem solving from which innovative solutions might emerge? We know it works, after all. Consider the way in which The Human Genome Project finally unlocked human DNA, or the creation of WIkipedia or…well, you know what I mean. Don’t get me wrong, I’m not advocating that we should ditch the curriculum and get students to start playing WoW. What this talk does make me think about, however, is how collaborative skills need to be deliberately practised just as much as skills in calculus, research or reading. As I’ve said before in posts and what I’m writing about in other forms at the moment, if we can design learning in such a way that it offers engaging opportunities for students to mindfully practise the skills required to collaborate, then surely that’s one step closer to their readiness to both give and take from the world everything it has to offer? Other TED Talks on related to this and that have similar connections to learning include Seth Priebatsch and Tom Chatfield. 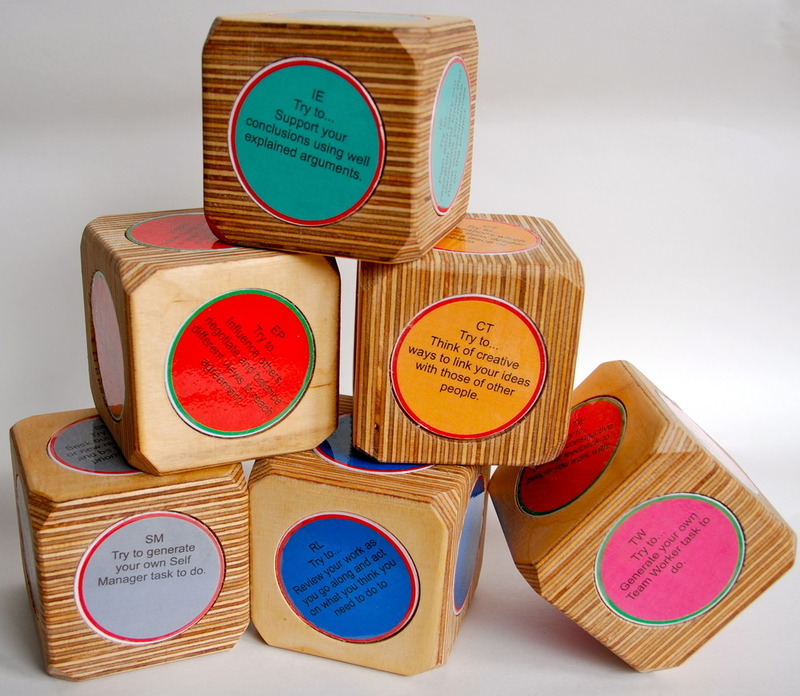 The resources are designed to stimulate QUALITY LEARNING CONVERSATIONS, using the language and concepts of the PLTS. We’ll let you know how are ‘field trials’ go. 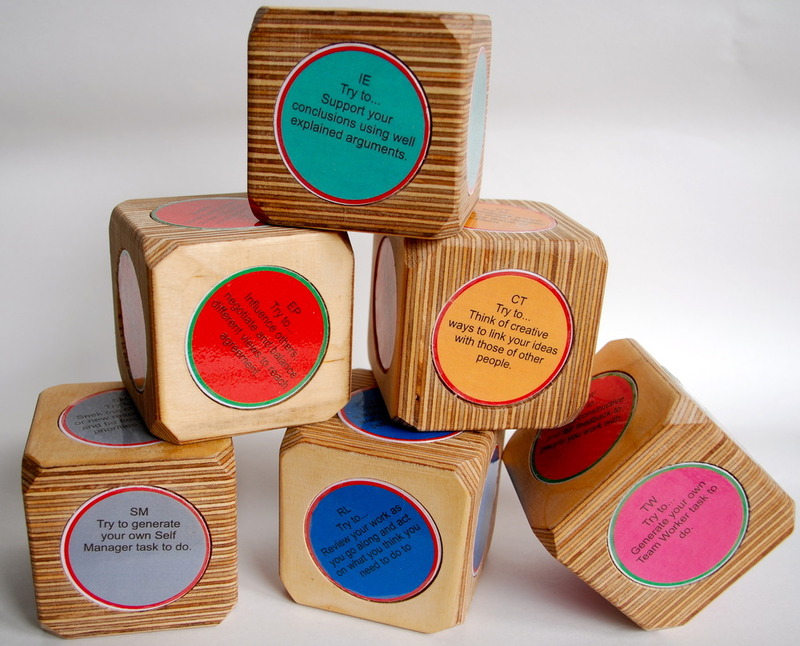 The dice are designed as one per PLTS, in two versions, one set is to be used reflectively with the prompt of ‘Have you…’ and the other set is to set PLTS targets ‘Try to…’. They are made out of wood and are, in themselves, things of beauty! 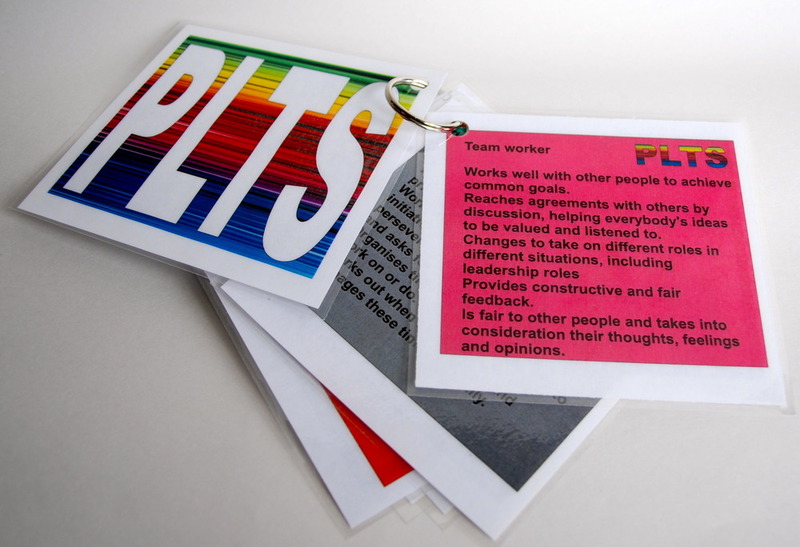 The swatch cards are for teachers to refer to when they are observing learning, to support the integration of PLTS language and the cards are for learners to use to reflect and develop the PLTS as a shared language for learning. We’ll be road-testing them all with our project teams of Confident Communicators on Thursday, when we’re holding the Presentation Day for the project. The day is being run alongside an LA AfL teacher conference, and the teachers will attend some of the presentations as a CPD workshop to have a go at observing the PLTS in action using ‘Observing Learning’ techniques we’re developing.